Golden Temple brings back memories of video games and Indiana Jones while maintaining the chance of landing a winning combination. There are plenty of new features in the Golden Temple swap reels and a nudge feature. It also has some big wins in store for a lucky player with a good eye. It has 5 reels and 20 paylines with a betting range from 20p to £400 a spin. An ancient monument is the backdrop of the game while the sound effects are pretty impressive as well. Lora who plays the main character guides the player to treasure during the game. A golden shield represents the wild symbol of the slot game which can replace any other except for the scatter symbol. Most of the symbols in Golden Temple are simply represented by Egyptian letters. An ancient scroll acts as the bonus symbol that can trigger winnings. Unlike other slot games, all of the symbols that are picturesque like in nature resemble only the bonus, wild or scatter symbols. These are also unlocked when the player lands on a bonus feature in most cases. The bonus features in the game are dependant on bonus wheel spins and exactly where it lands. Bonus features can also be unlocked when an animated Lorna who is the main character of the game appears. The features are of various types depending on how lucky the player is. A nudge feature can be found wherein Lora will crack her whip and affect the position of reels to form a winning combination for the player. The player can unlock a respin if they land on the respin feature. New swap reels feature will swap certain reels to form a winning symbol line up. If the player lands on a wild reels feature, then wilds will cover one or more reels to form a winning combination. Lastly, the instant win feature gives the player an instant payout. 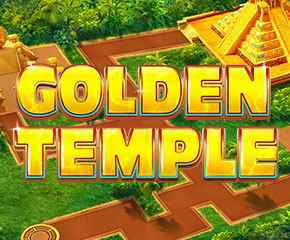 Golden Temple has plenty of action and some excellent graphics that make it quite enjoyable. It also brings back memories of the Indiana Jones slot game which also impressed slot players. 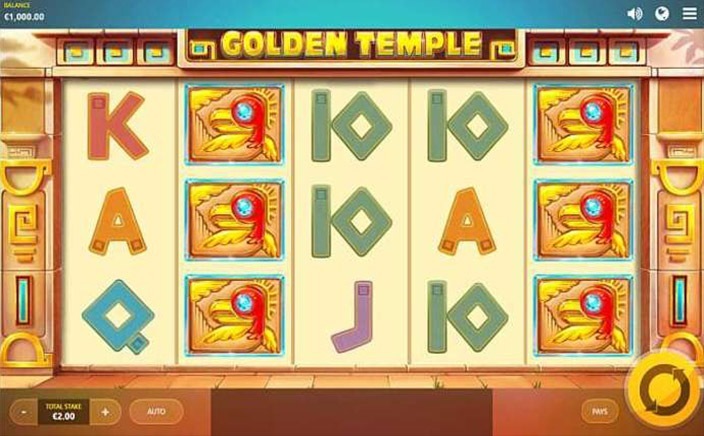 With a chance to win a big jackpot and a plethora of features to keep it interesting, Golden Temple definitely lives up to its name and gives the player a chance to win some great bonuses.